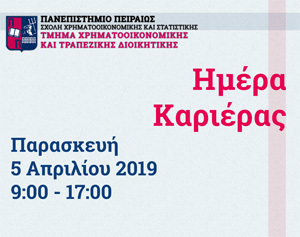 The Department of Banking and Financial Management of the University of Piraeus is announcing the launching of the E-learning Program of Banking and Financial Management using distance-learning products based on web technology. Advances in technology have allowed for the growth of collaborative web-based learning opportunities. E-learning is an approach to facilitate and enhance learning through based on both computer and communications technology. The department is wishing to take advantage of its top experienced professors either from the academic or professional environment and its material and technical infrastructure in order to create quality online courses and educate all candidates on issues relevant to banking and financial analysis. The software is an educational platform that provides a user-friendly electronic environment and enables anytime, anywhere access for all participants. It allows the classroom to extend onto the web by posting electronic journals and resources or assigning and collecting assignments. Moreover, the computer-based training incorporates technologies that support interactivity and achieve ease of access and attendance using on line education tools and non-synchronous activities such as blogs and discussion forums. 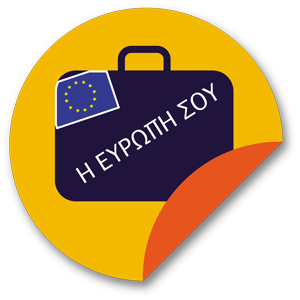 Thus, the program is giving the opportunity, through the educational process, to all trainees to come in contact with the latest developments and innovative methods applied in the sectors of money markets and banking systems and, therefore, either to acquire for the first time relevant knowledge that will allow them to have better access in the job market or extend their knowledge in the frames of their profession.